I sometimes miss the days when blogs were an alternative to the mainstream media. These days, they pretty much ARE the mainstream, whilst traditional media is starting to look like a bunch of blogs. I think it’s time to be bolder than that. 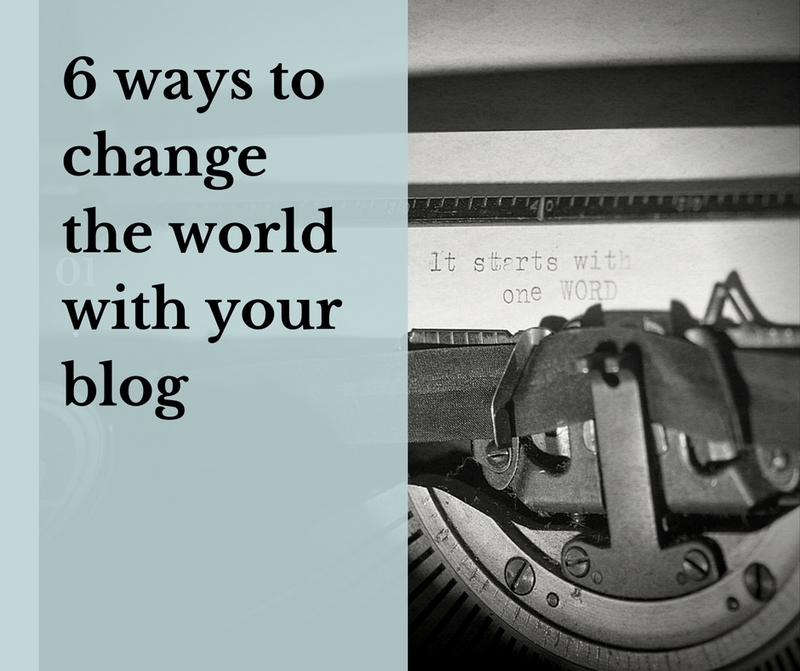 Whether you have one reader or a million, your blog can and will change the world. I’m not just talking about overtly political or campaigning posts – it goes deeper than that, and into what we choose to put out into the world. You can change people’s mood, what they know about, what they buy and even how they feel about themselves. Being judgmental is very popular these days, because when you define something it helps you think that you’re somehow in control. But none of us is ever in control of what happens in life – that’s the scary part. I prefer Amy Poehler’s take on this which is basically: Good for her! Not for me. Aim for raising people up rather than putting them down. I know that’s easier said than done sometimes but we can give it a go, can’t we? Focus on the things you think are great and are worth sharing. That doesn’t mean that you never write a negative post or review, but you’ve got to at least be feeling the love before you start writing, otherwise why bother? Write about stuff, people and issues that mainstream media doesn’t cover. If your post would comfortably sit in a mainstream publication, what are you adding to the debate? Where are you adding your unique spin? What can you say that no one else will? They’re bad for the environment, so deny them airtime and manufacturers will be forced to find less toxic alternatives. Just because the PR says it’s great doesn’t make it great. Often there is a whole back story that you will never find on a press release. It could be crappy customer service, dodgy business practices or shoddy ingredients. Be curious and questioning and don’t believe the hype. I love stories of brands and products born out of one person’s passion. Posts about tiny brands don’t tend to get a whole lot of hits because very few people have heard of them yet and probably aren’t searching for them online. But with a blog you get to help plant acorns and watch them grow, and I think this is a good thing. And don’t think that you’re exempt from this because you blog about lipstick or lifestyle (or “any aul shite” as I call it). You’re still doing stuff that matters, and you are right in the heart of people’s lives and how they express themselves. That is a very powerful place to be. 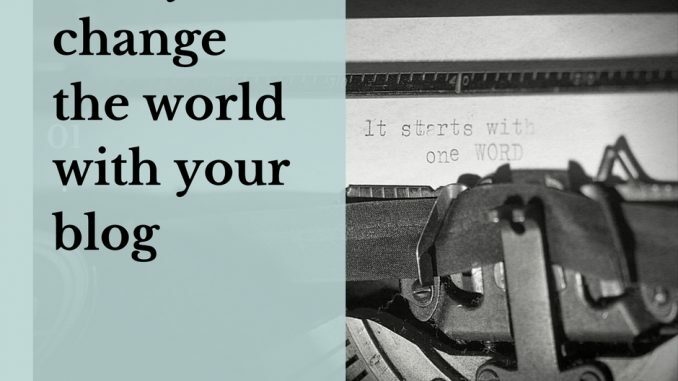 Don’t underestimate how world-changing that is.